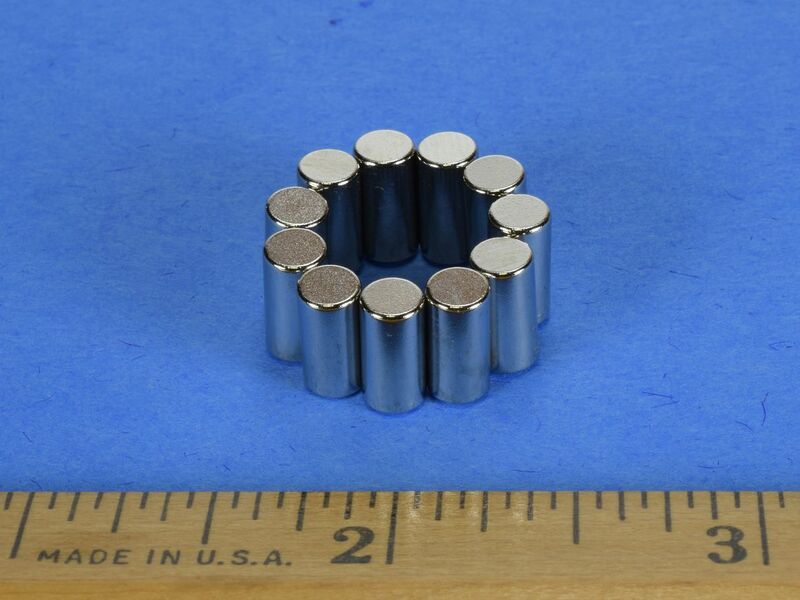 These diametrically magnetized cylinders are quite unique. They are magnetized perpendicular to their length, so the poles are located on the sides of the cylinders. This makes them attract each other strongly side-by-side. They can be formed into shapes and patterns that axially magnetized magnets cannot, as seen in the picture on the lower left. These cylinders provide a truly unique magnetic experience. 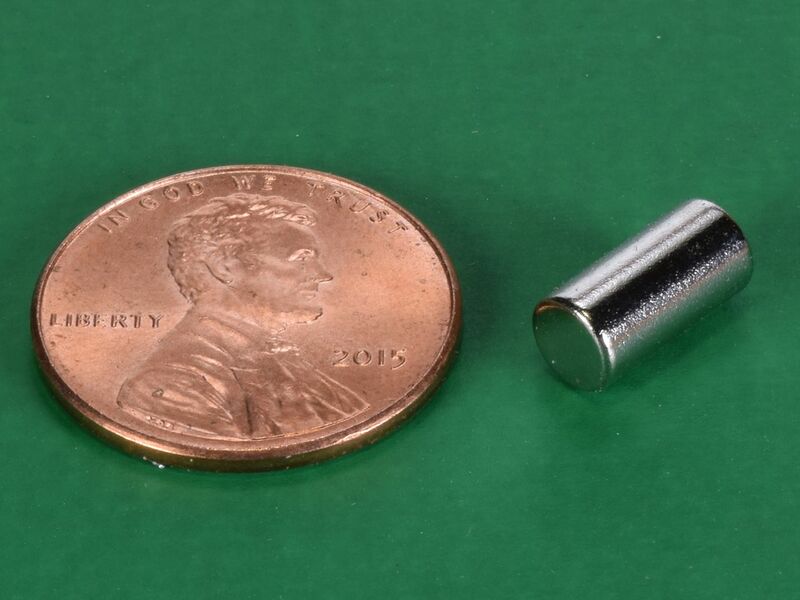 This size is also available axially magnetized as the D36 and in grade N52 as part number D36-N52.